Fabian Oefner’s experimental projects capture the action of natural phenomena and transform them into works of art. Millerfiori- Fabian Oefner. This artwork is the size of a thumbnail and was created by placing water colour paints on top of ferrofluid, a magnetic colloidal liquid. Because the two liquids do not mix, the water colours form pools and channels. Dancing colours- Fabian Oefner. This visualisation of sound waves was created by placing crystals on a membrane which covered a speaker. Noah Scalin has created portraits of scientists using various items. 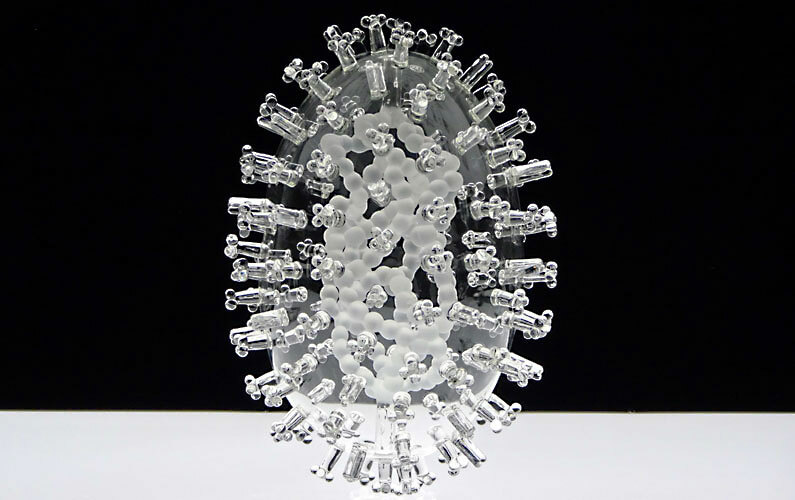 Luke Jerram’s Glass Microbiology project consists of large scale glass sculptures of viruses. 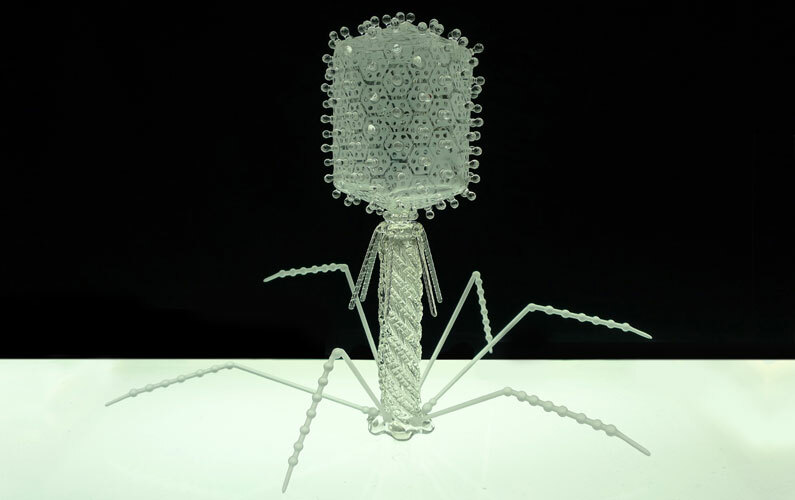 Made to contemplate the global impact of each disease, the artworks are created as alternative representations of viruses to the artificially coloured imagery received through the media. 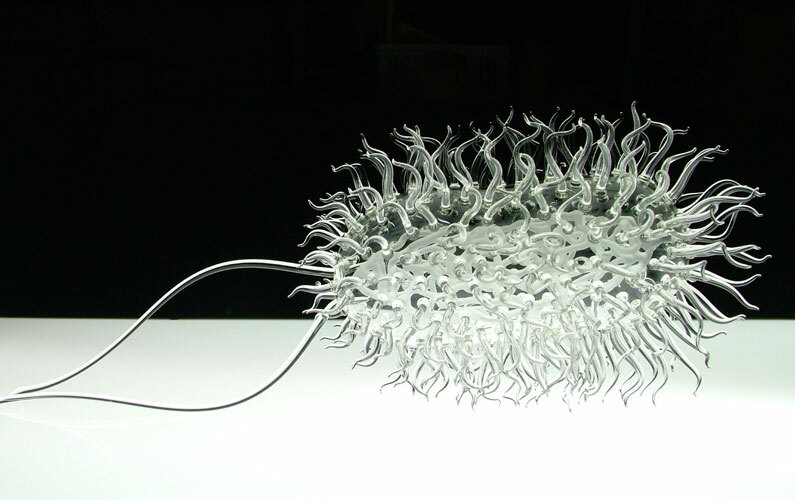 In fact, viruses have no colour as they are smaller than the wavelength of light…His transparent and colourless glassworks consider how the artificial colouring of scientific microbiological imagery, affects our understanding of these phenomena… If some images are coloured for scientific purposes, and others altered simply for aesthetic reasons, how can a viewer tell the difference? 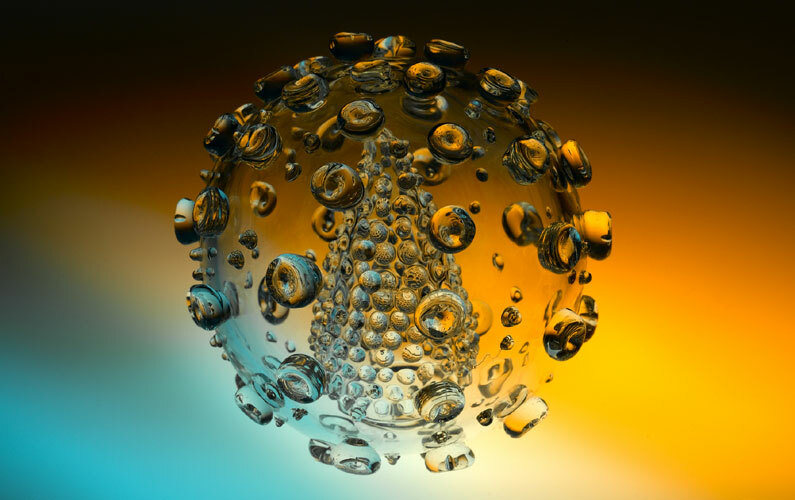 How many people believe viruses are brightly coloured? Are there any colour conventions and what kind of ‘presence’ do pseudocoloured images have that ‘naturally’ coloured specimens don’t? How does the choice of different colours affect their reception?